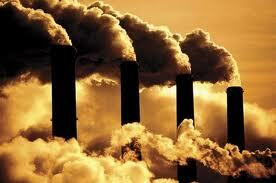 Why Support Coal-Fired Power Generation? | R.E.T.A. With natural gas prices at an all-time low (Edmonton Journal 1 and Edmonton Journal 2), and prices projected to remain low for some time, you would think there would be more natural gas-fired electricity generation in Alberta. Instead, the power generation industry, supported by the Alberta government, remains heavily entrenched in coal-fired electricity – in fact Alberta has the highest percentage of coal-fired power generation in the country. Coal-fired generation adds massive amounts of carbon to the atmosphere, and flies in the face of the federal government’s attempts to reduce carbon emissions by transitioning away from coal-fired to more environmentally friendly power generation. 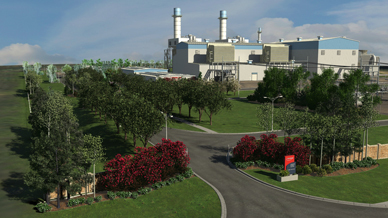 Companies like ENMAX are doing their part by building the natural gas-fired Shepard Energy Centre in Calgary which will add 800 megawatts of electricity to the grid and more than adequately handle Calgary’s peak load demands. Gas-fired power generation adds only about 50% of the carbon to the atmosphere that coal-fired generation does, so Alberta would be helping the federal government achieve lower carbon emissions by focusing more on gas-fired generation. As importantly, generators like the Shepard Energy Centre are built right where the power is needed and therefore do not require long expensive transmission lines. At the same time, power generators like TransAlta, Capital Power and Enbridge Inc. continue building new massive coal-fired generation, supported by the Alberta government, and in fact appear not interested at all in reducing their carbon emissions or in addressing Canada’s reduced carbon emission targets. In spite of the federal and Alberta governments providing most of the financing, these 3 companies have just pulled out of a carbon capture project dubbed Pioneer (Globe and Mail) because it would slightly reduce the companies’ profits. This cancellation of course is a black eye to the provincial Tories’ trumpeting of carbon capture as our province’s answer to reducing carbon emissions. On the basis of the above information, why should Albertans support coal-fired power generation? 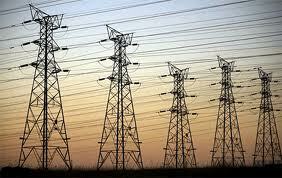 It emits at least twice the volume of carbon that natural gas-fired generation does. The coal-fired generators like TransAlta, Capital Power and Enbridge do not really want to contribute any financing to reduce their carbon emissions. Coal-fired power generation, of necessity, involves long transmission lines to move the power from the coal sources (such as Wabamun) to where the power is consumed. The Heartland Transmission Project, Western Alberta Transmission Line, Eastern Alberta Transmission Line, and other 500 kilovolt lines legislated by the Alberta government will all be transmitting dirty coal-fired electricity over extremely long distances. Many other RETA blogs describe the negative impacts of these overhead high voltage power lines on health, safety, the environment, property values, tourism, agriculture, electricity prices and overall quality of life. Other provinces are contributing to the reduction of carbon emissions, but Alberta continues to promote and develop coal-fired power generation which adds huge quantities of carbon to the atmosphere and requires long expensive transmission lines. ~ by RETA on April 28, 2012.